Manti is fully committed to a balanced strategy of growth achieved through the exploitation of acquired fields and new exploration discoveries. A critical success factor has been the application of the multifunctional team concept which integrates geoscience/geophysical analysis and advanced engineering techniques, combined with the industry’s latest information technology applications, to better define potential and assess risk. The importance of establishing alliance partners to share the risk in our existing portfolio of opportunities and to bring new opportunities to the table is an important way to leverage Manti’s Exploration objectives. Manti actively seeks farm-in acreage. Another distinguishing factor which has been adopted in Exploration is a portfolio approach where an inventory of opportunities are maintained with geologic and geographic diversity. Manti is fully committed to the application of 3-D technologies and has combined an experienced geo-technical staff with high end 3-D seismic imaging technology. Reservoir engineers at Manti work closely with their geoscience counterparts to complete comprehensive field studies with the objective of developing detailed assessments of commercial potential. Production, pressure, logs, and map information are integrated to define potential in each sand in each wellbore. This data is translated to both a wellbore utility matrix and Manti’s Merak Peep reserve reporting system. 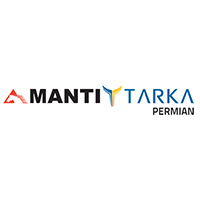 From this data, a backlog of workover and drilling opportunities are maintained and prioritized work plans are developed each quarter based upon potential and estimated cost.All engineers at Manti have extensive experience in the application of reservoir engineering principals. These engineers use the latest software for log analysis and field reservoir surveillance to monitor field reservoir performance. These tools are employed to existing fields in Manti’s inventory and in the assessment of fields under consideration for acquisition. Manti specializes in drilling normal and abnormal pressure sand sequences typically encountered along the Gulf Coast. Manti has achieved dramatically reduced drilling and completion costs while delivering completions capable of record production rates. 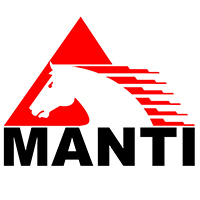 Manti’s team has had extensive experience with deep high pressure completions. We use in-house software to analyze tubular stability and loading to optimize the use and minimize the investment. Careful attention is given to designing drawdown curves to avoid damage to the near-wellbore. Tubulars are designed to ensure integrity, but also to provide the maximum flexibility in future recompletion or stimulation attempts. Manti has established a track record of significantly improving marginal field performance, which has been accomplished in many instances with the highly successful application of massive hydraulic fracture technology. Through its own experience and extensive studies of successful stimulations in the Frio, Vicksburg, and Wilcox trends, Manti has developed criteria for optimum job design to achieve maximum AOF. Each design involves specific combinations of pumping rates, sand concentrations, and fluid types tailored for pre-job pressure buildup analysis and rate performance data. Effective application of artificial lift expertise and technology has consistently yielded dramatic production gains in every instance where Manti has assumed responsibility for operations in mature oil fields. Manti’s personnel have extensive experience in all types of artificial life including gas lift, rod pump, and plunger lift. Optimizing facility performance is a critical step in maximizing production rates and eliminating waste for reduced operating expenses. Typically in gas fields early optimization steps include nodal analysis and compression utility studies to identify opportunities to reduce pressure drops and increase rates. Manti’s personnel have extensive experience in the design, construction, and operations of gas plants. This expertise ensures Manti maximizes the BTU realizations whether as gas or GPL products through the construction of its own facilities or the negotiation of processing agreements.